About 50km south west of Tokyo, the lovely seaside town of Kamakura is known for its large variety of shrines and temples, as well as a giant bronze Buddha. 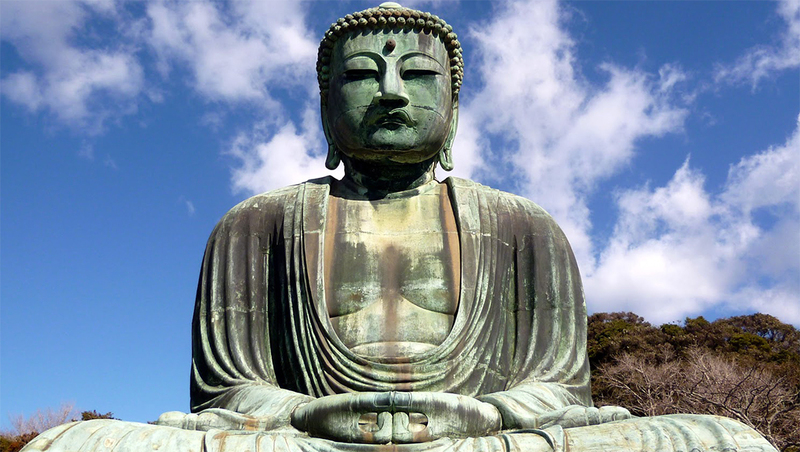 The Buddha, the second largest in Japan, was once housed in a grand temple, but a tsunami tore down the building in the 15th century, and the statue has since weathered the elements from a quiet clearing in the trees. The peaceful holiday feel of the town belies the power once wielded here: from 1192 to 1333 Kamakura was the seat of the shogun’s government. Many of the area’s great temples date from the Kamakura Shogunate, or bakufu, and there is no shortage of interesting historic sights. The hills around Kamakura provide peaceful hiking trails, often leading from one sight to another.